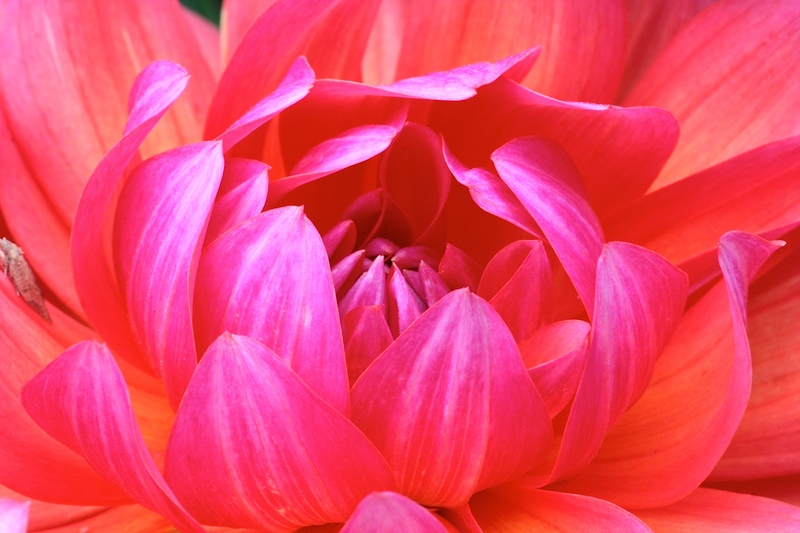 If ever a dahlia deserved the classification ‘waterlily’, describing the shape of the blooms, it’s Dahlia ‘Firepot’. The juicy-fruit colours might have given Monet a fright, but the lush, softly incurved petals are a gardener’s delight. They begin sulphur yellow at the centre, fading out to tangerine and then coral at the tips. In bud the flowers are shocking pink so, with blooms at different stages on the same plant, the effect is hot, hot hot. The flowers positively glow, even on dull days, as if they had their own internal flame. This is the second summer for my tubers, which I overwintered in a dry cellar and am growing on in large pots (the black ones typically sold for tomato plants are ideal). D. ‘Firepot’ is the perfect subject for container culture as it’s compact and reaches only 2ft high. The only drawback is that the flower stems tend to be rather short, the smallish blooms held tightly against the foliage. If you decide to cut some for indoors they will last almost as long as they would on the plant; they will soon be replaced, as D. ‘Firepot’ is incredibly floriferous. Admittedly this hybrid, which was introduced in 1969, might be challenging to integrate into your garden if you have a pastel colour scheme, but amongst other hot colours, or on its own, D. ‘Firepot’ is a stunner. It’s tricky to photograph but these images are accurate for colour and a fair reflection of what you can expect should you choose to give the variety garden room. I, for one, would not be without it. 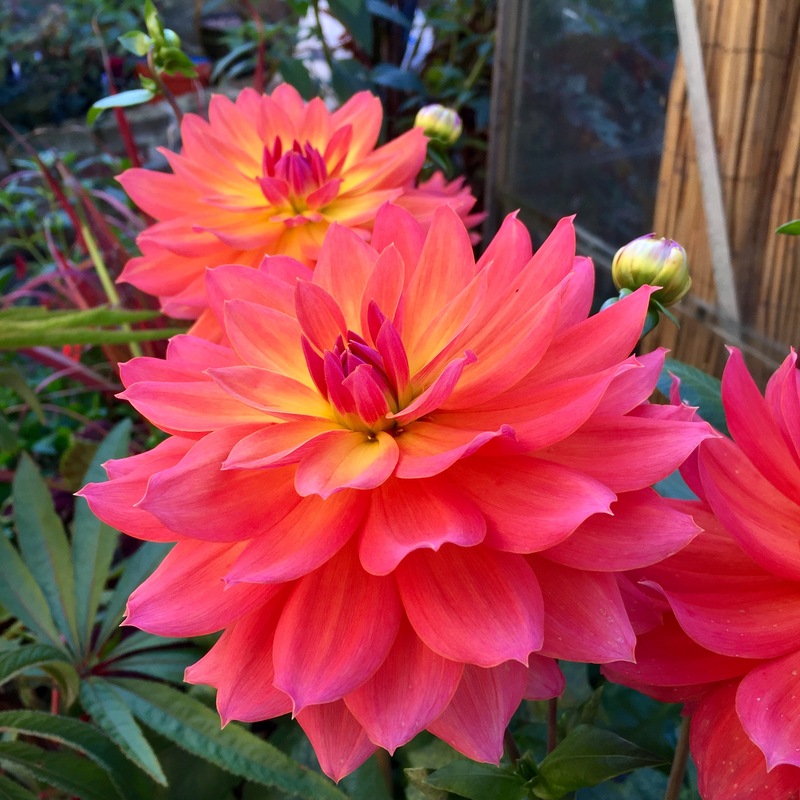 Dahlia ‘Firepot’ is widely available, mail order, in the spring. Excellent. Shame I can’t take you a cutting! Gorgeous Dahlia! Can’t you leave the tubers in place out there? I could if I could plant in open ground, but we have to use pots in this part of the garden. It’s increasingly common for people not to dig up their dahlias – my dad hasn’t bothered for years. Stunning… I am hooked. I have just purchased some black prince. A very rich red. So fingers crossed. I have never grown dahlias before. Maybe I will do what your dad does and leave them in the garden, it wasn’t my intent, as I wanted near the entrance. Need to ponder this. Have you grown christmas lilies before? Any tips please would be most appreciated. I couldn’t resist them.. Where am I going to put them, no idea and I have bought 25! shame about the holi’s…..I would so love a week off to spend in the garden as there is soooo much to do going into Spring. How’s your veggie patch going? My query is about lilium x auratum x speciosum. Gorgeous big oriental white blooms with a fabulous scent. Advice please – do you think I could put in pots? I believe you can leave in the ground, and don’t have to dig up,. but I am not sure I will have the time to make a new bed and I need to make sure they are near a water source – they are a summer flower here. Whilst you go big on pointsettas for Chrissy , it is all about the Christmas Lilies here. Good call Helen. Love it! 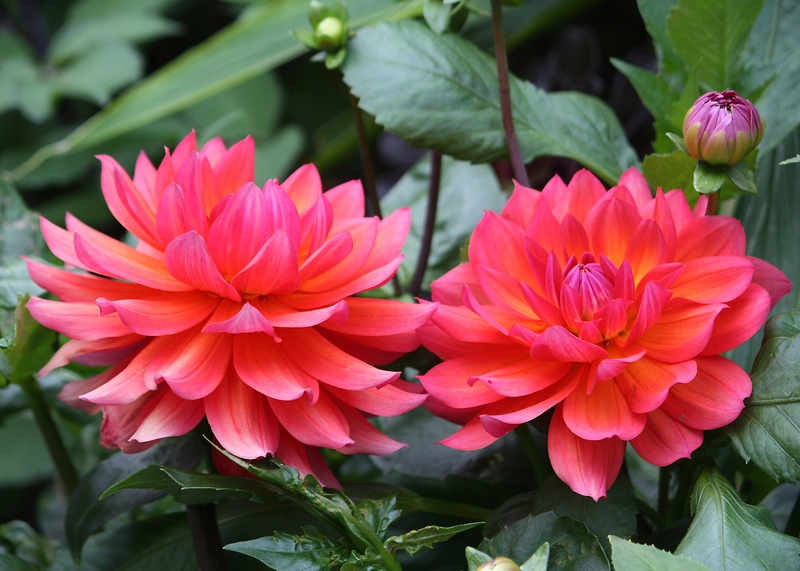 On the list for when I visit the National Dahlia Collection in September. 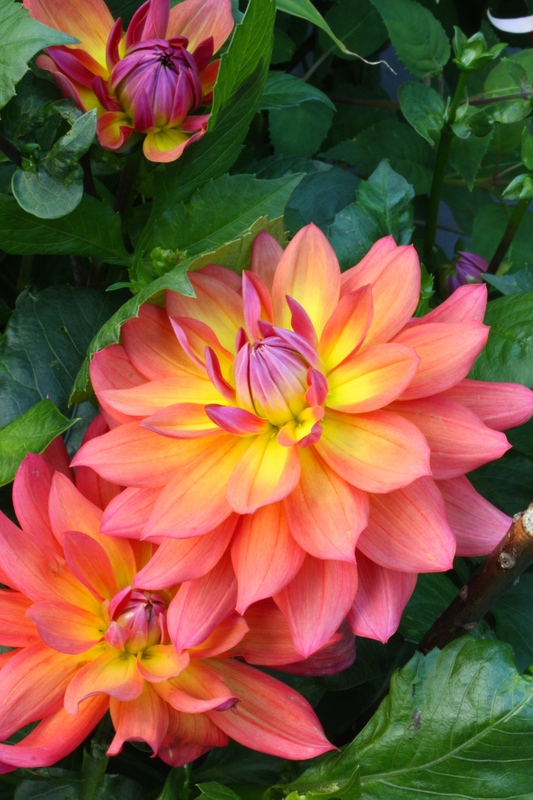 Gorgeous dahlia, I’m ordering it right now !! You should Terry. It’s quite a stocky chap, so don’t plant too far back in the border.